The Technology Roadmap for Aged Care in Australia released today by the Aged Care Industry Technology Council (ACIITC) recognises the need for technology to underpin the delivery of aged care services and ensure independence, choice and control for consumers. 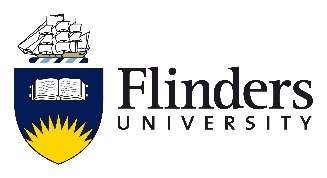 Prepared by the Flinders University Medical Device Research Institute on behalf of ACIITC, the report acknowledges three issues: population ageing that has never been experienced at the same level; the rapid development of new technologies; and, reform of the aged care sector that fundamentally changes the way in which older Australians will be supported. ¬ Further reform depending on consumers being able to use technology in order to maintain independent lives or access services. ¬ Increasing consumer choice and control depending on engaging consumers in decision-making with aged care service providers. 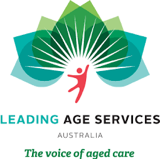 ¬ Aged care organisations will need to uptake IT in the provision of care. ¬ The aged care workforce will need to upskill its technology literacy. “The aged care industry is in an era of unprecedented change. The convergence of current aged care reforms, business model transformation and technological disruption is reshaping multiple areas of the aged care industry. Consumers are at the centre of these changes and the Australian aged care industry is embracing this change,” ACIITC Chair Glenn Bunney said. “Following the release of the Aged Care Sector Committee’s Aged Care Roadmap, ACIITC was interested in exploring the contribution technological interventions could make to realising the Aged Care Roadmap’s vision for a sustainable and robust aged care industry. “It is hoped that the insights from this research will help policy makers evaluate the benefits of embracing technology as well as provide guidance and information for aged care providers seeking to embed appropriate technology in all aspects of their operations.